Earlier this year we gave our Typsy Tribe members the chance to win a trip to Ireland as part of our Pour the Perfect Pint competition. After watching our Tribe pour the perfect pint of Guinness and create some Guinness inspired limmericks, we then had the tough decision of choosing a winner. 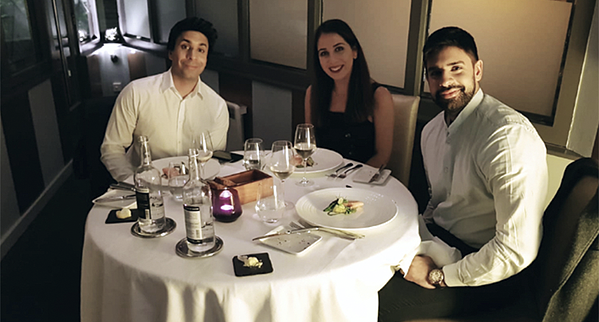 After much deliberation, we came to a decision and sent two lucky winners - Aman and Jaspreet - to Dublin where they enjoyed five nights of fun including a behind the scenes tour of the Guinness Storehouse, dinner at a Michelin star restaurant and more. 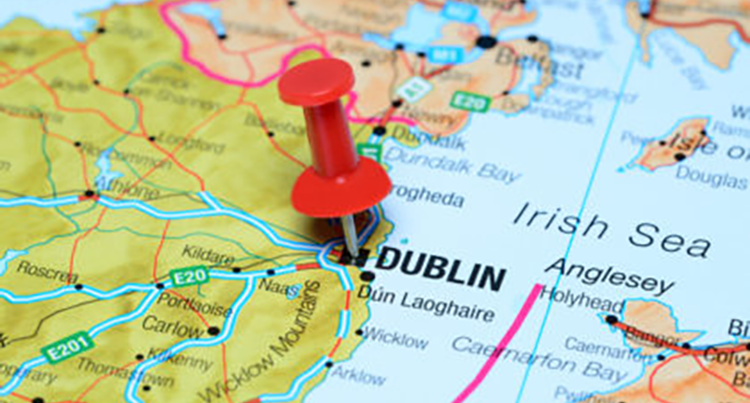 Catch up on Aman's trip in his diary entries and find out if any of the Irish luck rubbed off on him. Upon landing we headed to our hotel. Really great location and super friendly staff. We headed into town to see a bit of the area and get a feel for Dublin. One thing I realised about Dublin is the surprise short but fierce showers of rain! They literally popped up without warning... luckily this was confined to only the one day. That evening we headed out to Temple Bar as we had heard so much about it. Loved the vibe of that area as people were friendly and really jovial. That morning we headed down to breakfast before heading to the Guinness Storehouse. There we were greeted by Steven who was super courteous and really looked after us. We joined Patrick and Steven for lunch and really connected. I've got to say I liked Patrick as he is a big stand up comedy fan and that's always good in my books. The lunch was really good (especially dessert!). We were shown around the various vat houses and tunnels that were used by workers. We also got to see the behind the scenes stages of the beer making which was awesome. Fergus at the archives really knew his stuff and it showed. It was quite a privilege to see all those rare and exclusive documents and posters. I'm quite interested in the background and history of long established institutions so finding out about the master brewers guild and long forgotten advertisements was something I really enjoyed. After the private tour we checked out the Gravity Bar (everyone had talked it up so much we had to!) The views were incredible... it's true you really can see so much of Dublin from there. With the sun shining through that day it really made for incredible viewing. Don't think a single photo or video could really do it justice. After the bar we headed to the newish experimental bar that was built next to the brewery to test out some new beers. We had been gently persuaded to try out an experimental mango beer... we tried about four of the beers and I have to say they were all great. My favourite however was the summer ale. From the 10 or so beers they had on offer they had one which wasn't theirs. One was from a local brewery that they had given a chance to showcase to the thousands that attend the brewery which I thought was really nice of Guinness. I can't say enough about how the passion for Guinness that everyone we met exuded. It was obvious that they love their jobs and probably why generations after generations of families have worked there. On Saturday we headed to Christ Church Cathedral. A really beautiful cathedral with some really unique ornaments and paintings. That evening we headed out to probably my favourite part of the trip. The dinner at L'Ecrivain. The food was exquisite. The salmon, the chicken… all fantastic. Every dish was phenomenal. My favourite I would have to say would be the dessert and the palette cleanser. I love the fresh and bold flavours of the lime and mint. Before this dinner I was always more favoured towards red wine however the inspired choices by the sommelier really turned me onto white wine. He was incredibly knowledgeable and really great at flavour pairings. The salmon was cooked to perfection and the wine that was chosen really helped bring out a different flavour profile. I genuinely loved the whole experience… everything from the soda bread to the macarons. After the amazing dinner we headed to the Vintage Cocktail Club. A small door with a simple ‘VCC’ on it near the bright lights of Temple Bar. It could easily be overlooked in favour of the more hyped bars in the area. The vibe and décor is exactly the type of bar I look to frequent. Plush and velvety. The drinks were fantastic and incredibly well made. I could have easily spent hours in there. Highly recommended! Want to read the rest of the story? Keep an eye out for Part 2 coming soon! 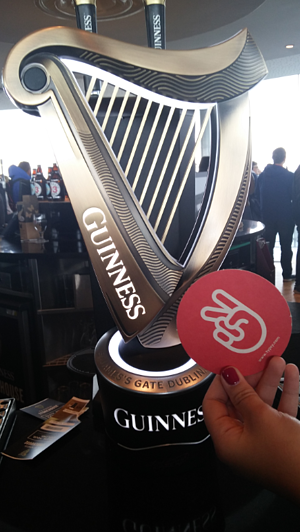 Start your online hospitality training with Typsy, and watch our course on Guinness.